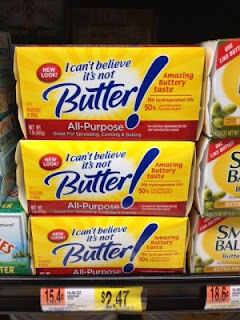 1lb of I Can't Believe It's Not Butter only $0.97 w/ Coupon! You can get a pound of I Can't Believe It's Not Butter sticks for only $0.97 at Walmart! NOTE: Walmart prices vary by region, so your store's may be slightly higher or lower.